One Piece is looking pretty hot. This week The Strawhats do battle with Duvals crew and we get to see Brook in action. Update: and now it’s out. Well these have been out for a while, but here you go anyway. Some One Piece spoilers! 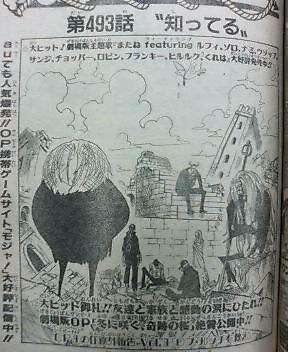 Basically this chapter has some more info on that Duval guy. And is sort of the chatting before a fight. I’ll leave the spoilering after the click. 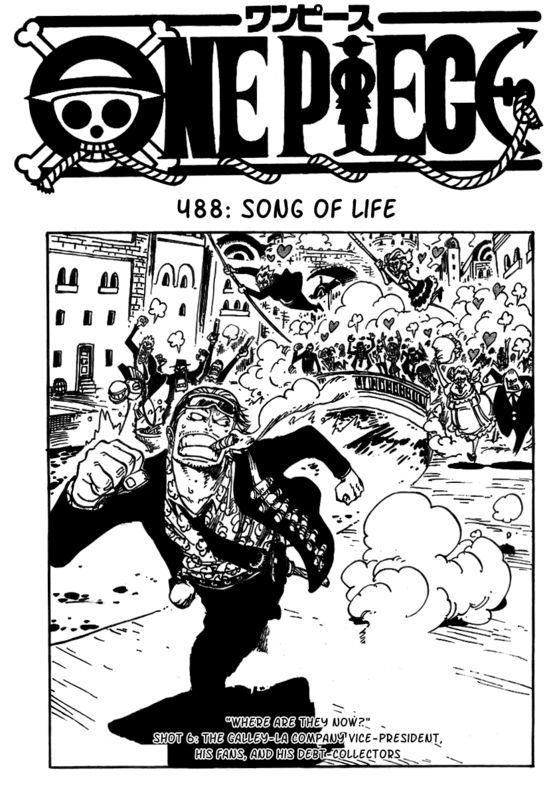 And new One Piece is out! Wow! First thing I have to say, this is an extremely funny chapter. I mean in every OP chapter there’s like a page of comedy or something. But this chapter it was choca block full. Note: I’m still busy so no write up. Okay, so this week’s WJS is almost out (out as in scanlated). 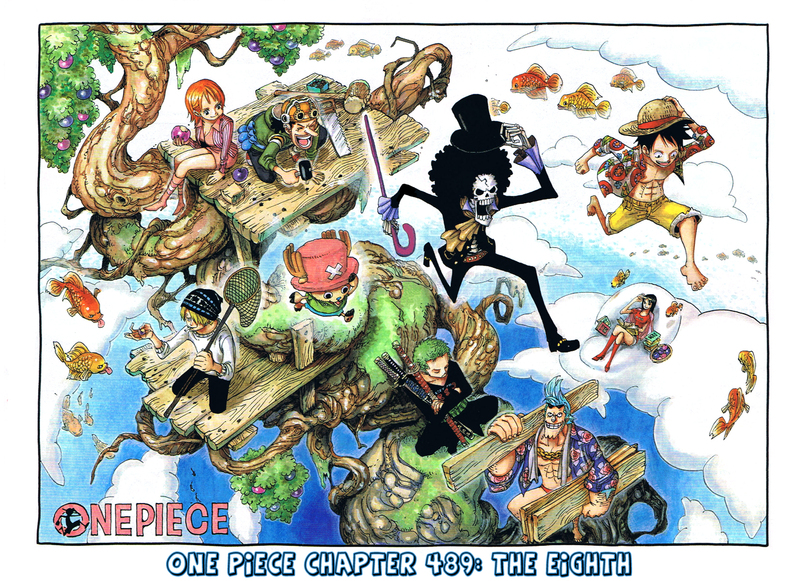 So I’ll post the first spoilers and spoiler pictures for One Piece. I’ll update this post with the raws and eventual scans. So make sure to check regularly.